We, at Compmerica, focus mainly on providing quality IT services that enhance the businesses of our clients. We seek to grant them solutions that allow them to consistently satisfy the increasing demands of their customers and clients. It is our duty to offer them a variety of services that equip them with the necessary abilities to adapt with the changes of the modern times, as well as the ever-changing needs of the modern people. Proper management of databases allows you to keep track of all the important records of your business. 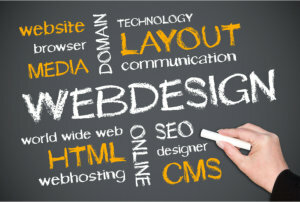 The ideal website allows you to promote your products and services all over the world, and draw in your target market. Proper application development gives your customers and clients convenience when availing of the products or services your business has to offer. The right software allows you to provide better, faster, and more accurate services. We provide our clients with quality IT products and expert consultation. If you are in need of any of the quality services we offer, don’t hesitate to reach out to us today. Give us a call at 414-617-9566.